I’m just getting started on a new linocut today. It’s of one of my favourite parts of Soho. Walkers Court is a narrow alley connecting Berwick Street Market with Brewer Street and it’s lined with the sort of seedy establishments you’d expect in that neighbourhood, with Raymonds Revue Bar at one end and a ‘book’ shop at the other…. This will be the third time I’ve used Walkers Court in a print. 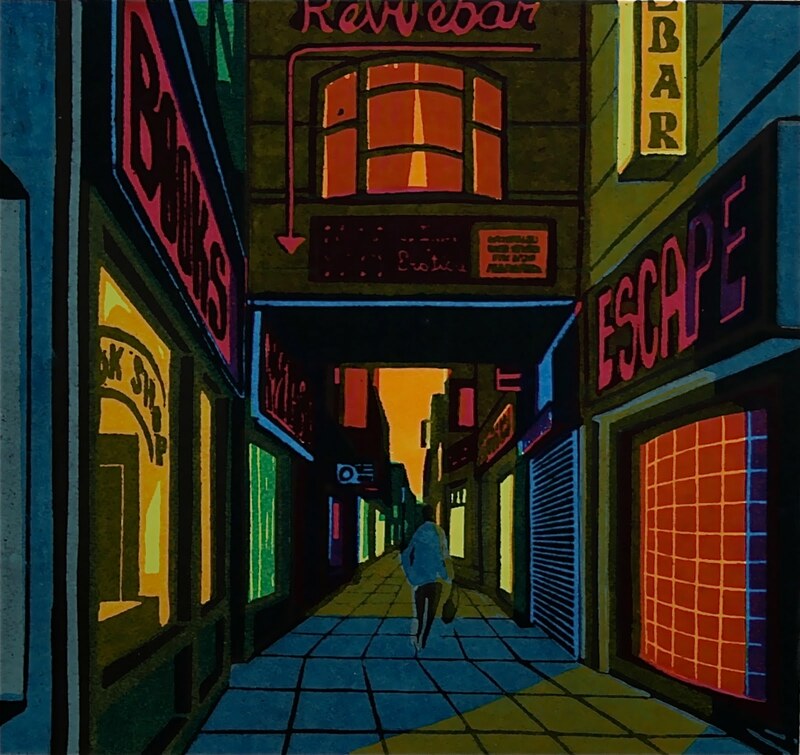 Here is one from a couple of years ago, called Soho Sunrise, looking through the alley from the Brewer Street end. 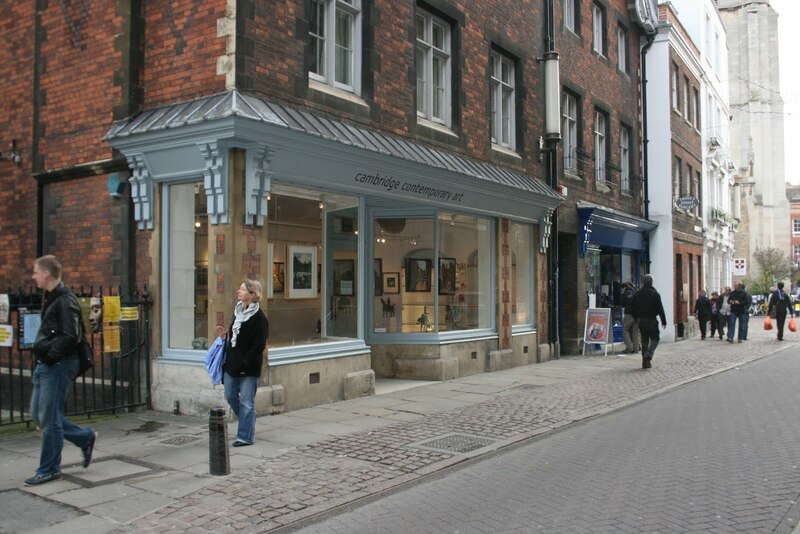 I will be having some framed work on show in Cambridge Contemporary Art from 14th November to 24th December. This is in their mixed Christmas Exhibition and has a wonderfully varied range of art, perfect for presents! Come along and have a look.. The image shown is Midnight Metro and is available to view at the gallery. Three of us at Half Moon Studio- Susie Perring, Karen Keogh and myself- will be showing at the Jags Art Fair. It’s open on Saturday 21st November 11-5 and Sunday 22nd November 11-4. Admission is £5 but will be offset against any purchases. The address is James Allen Girls School, East Dulwich Grove, London SE22. And here is my own work on display at the Affordable Art Fair. I sold three of the four little paintings shown on the right, which was very nice…. I only sell my paintings at our studio stands at the art fairs, as I’ve found it doesn’t make financial sense to sell them through the galleries. Unfortunately I would need to double the prices, to take into account the commission that galleries need to charge, or accept only half what I can get for them myself.